You took the step and signed up for a sprint triathlon. That's awesome! This sprint triathlon training guide is your ultimate resource to learning about the distance, prepping for your first triathlon, and getting expert triathlon tips for training and nutrition so you can rock the swim, bike, and run in your sprint triathlon. Has fear of the open water kept you from diving in to the sport of triathlon? Use these four tips to become safe and stress free the next time you head out for a swim. If you’ve ever forgotten your goggles or your helmet on race day, you know how important it is to pack the essentials the night before. Use this list to take the stress and worry out of your pre-race preparations. Just because you log a lot of miles doesn't mean that you're healthy. Practice these 30 healthy habits to remove roadblocks that'll improve your training and racing. Better mobility means a faster recovery from a tough event or training session. But how do you get it? Here’s a list of seven exercises to help your mobility. There's a lot more to choosing the right IRONMAN than simply window shopping online or picking one down the street. Looking to make the jump to half IRONMAN? These races will make the transition a little easier. Break the monotony. 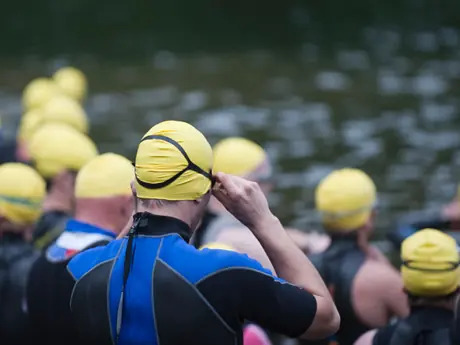 These lesspopular triathlons are a great way to spice up your 2019 triathlon season. Erik Taylor excels at helping endurance athletes—from pro racers to weekend warriors who love to run—increase strength and reduce injury.